Highlands Bowl: Aspen Colorado by Travis Andersen. Andersen is an artist and photographer from Bozeman, Montana (travis andersenphotography.com). Poster for sale at Vintage Ski World (vintageskiworld.com). National Ski Patrol historian corrects the mysteries of history; three-ring showdown over the greatest snow on Earth; deep dive into the Northland archives. 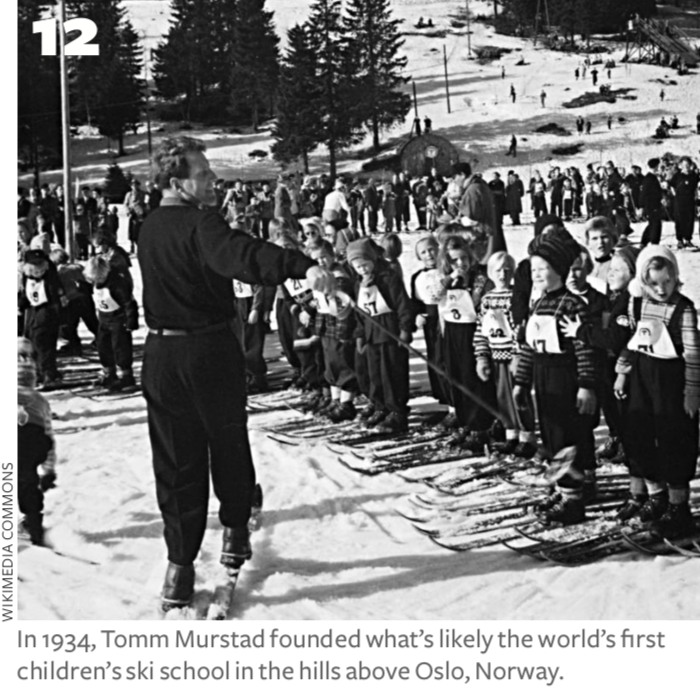 In Calgary, an Olympic rejection redux; Tomm Murstad and the world’s first ski school for kids. 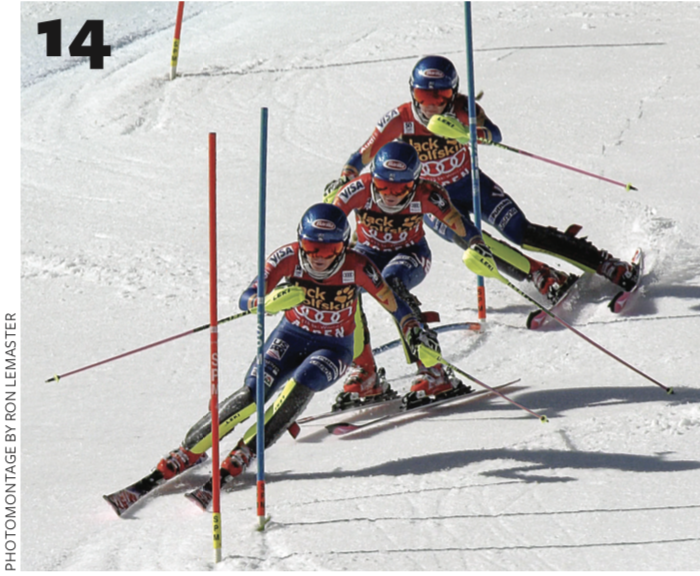 Plus: Snapshots in Time, the ski art of Achille Beltrame. 28 What’s in a Name? Elan opens a new museum near its factory in Slovenia. Farewell to ski pioneers Joachim Rønneberg, Gérard Rubaud, Karl Plattner, Steve Crisafulli, Chummy Broomhall and George Maynard. Tickets now on sale for the ISHA Awards banquet in Park City in April 2019.